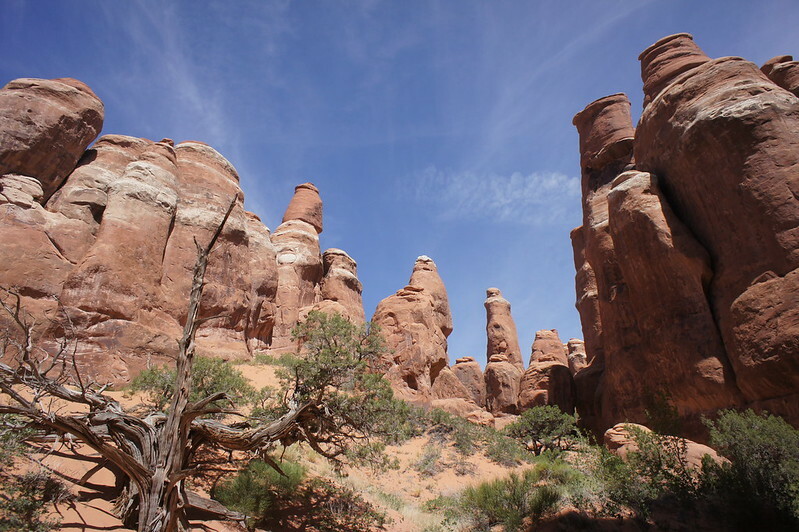 Arches National Park in Utah has the highest concentration of natural sandstone arches in the world. Famous, in particular, for the delicate arch which features on the Utah state license plates the park is easy to get to, just 5 minutes outside of Moab. As with all of the national parks, you can drive in with your rental car and explore under your own steam. Maps are available at the information centre and there is parking close to each suggested view point so that you don’t have to walk too far to see the highlights. Whilst the arches are an amazing phenomenon, if you’re not die hard photographers or geologists, it is difficult to keep kids (and, to be honest, adults as well) engaged with lots of stops and starts. A far better way to explore is on foot and we strongly suggest that you opt to explore with a guide. 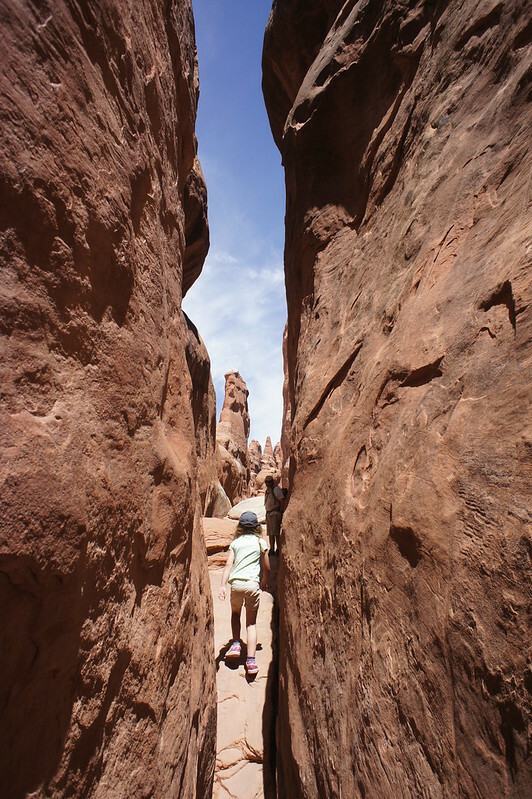 The fiery furnace is a labyrinthine section of the park where you can see a variety of rock formations including naturally occurring arches, rock spires and canyon coves and is an excellent place to experience the landscape and learn about the geology in a fun way. The first advantage of this is that you can only enter the area with a permit, meaning that you escape the droves of tourists which can be a real problem in the height of the summer. When we went, we had the furnace to ourselves which meant we had a chance to experience the beauty of mother nature up close and personal without the camera wielding tourists. 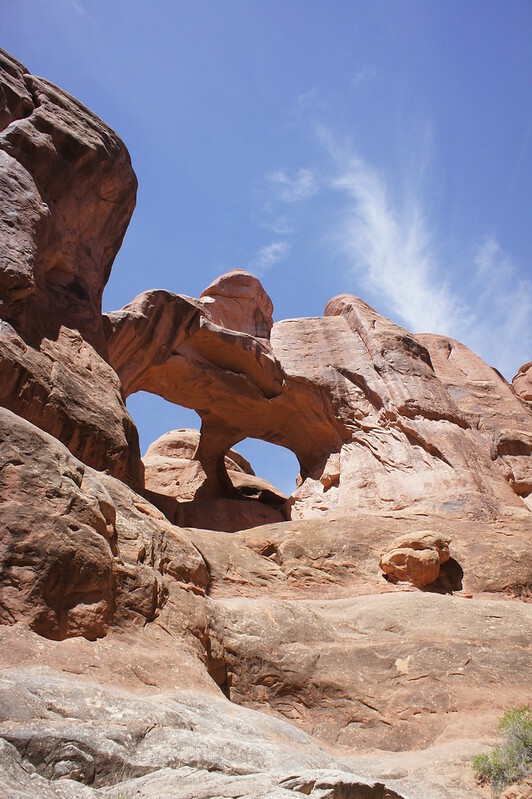 The second advantage is that whilst in the rest of the park many of the view-points are fenced off areas, in the fiery furnace you get much more of a chance to interact with your environment. 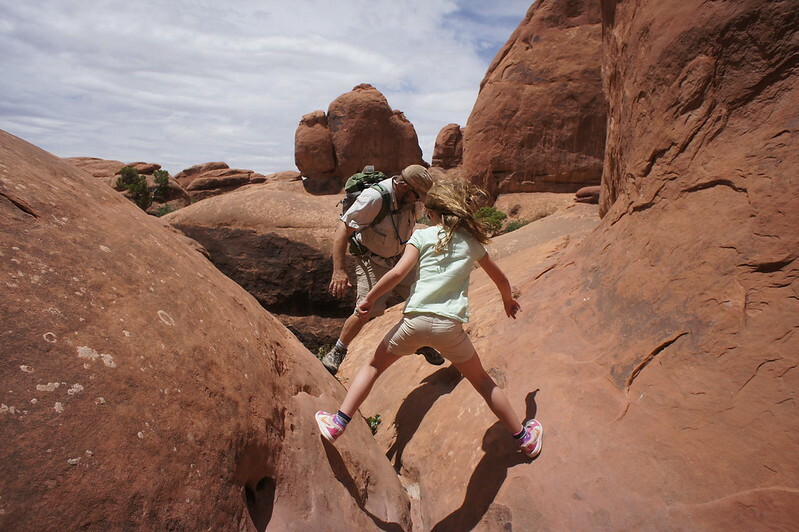 To reach some of the more impressive arches, you have to squeeze through tight canyons and climb through and around boulders. 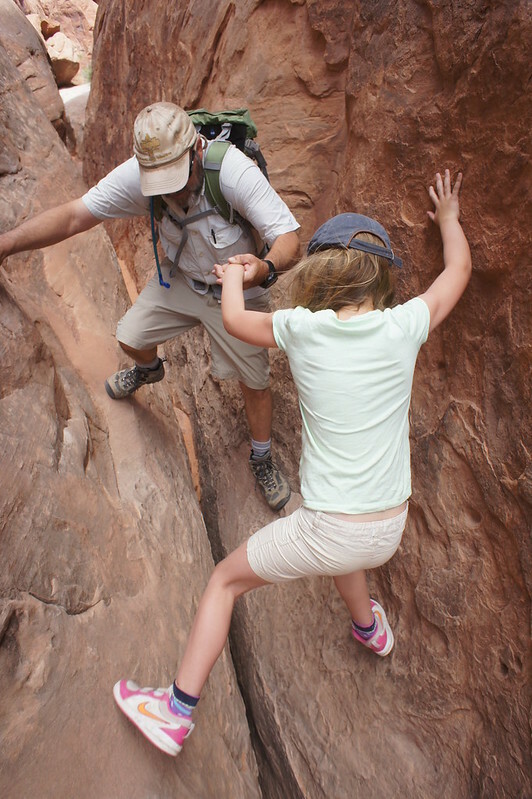 Kids and adults will really enjoy the physical challenges of the hike – it doesn’t feel like a circular walk, but more of a real exploration. If you are planning your visit at the height of summer, then you will want to do your hike at the beginning of the day, when the sun is not quite as fierce. The hike takes about three hours. After you have finished, you have time to explore the rest of the park, although having to share it with lots of other people is hard after having had the space to yourself! 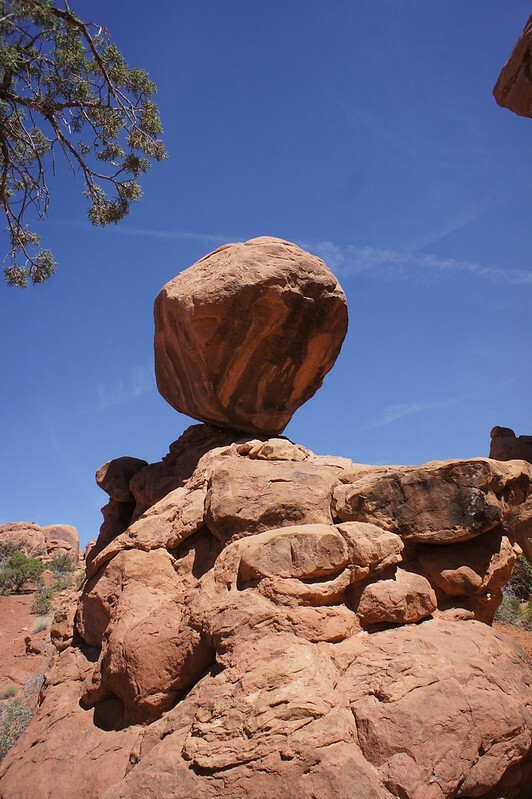 To see our suggested itineraries for Arches National Park & Moab, please browse our USA holidays page or email us.